Just look at that smile. Doesn’t seem like the face of someone that wants to destroy Christianity, does it? Well, some would disagree, and one Christian bookstore wants to protect us from her. 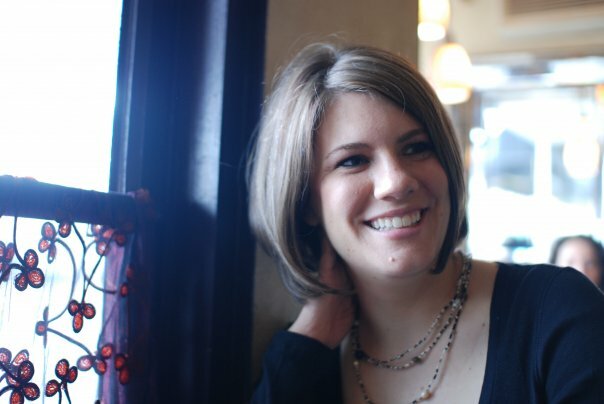 One of the best voices in contemporary Evangelicalism today is Rachel Held Evans. She writes about many things, but a major part of her writing–and the topic of her most recent book A Year of Biblical Womanhood: How a Liberated Woman Found Herself Sitting on Her Roof, Covering Her Head, and Calling Her Husband “Master”–is the place of woman in Christian homes and churches. She was the one who (rightfully) made a big deal out of the brouhaha surrounding some posts on the Gospel Coalition’s website–posts which inspired a couple of responses from me that were pretty widely-read. Anyway, this new book is causing lots of problems and mixed reviews for her, predictably falling on the typical party lines, with conservatives writing with “heavy hearts” about her “abuse of Scripture”, and others praising her sensitive way of confronting the never-ending myriad of problems with that conservative view. And of course, this is the time that the wider world decides to focus in on small Evnagelical disagreements, including stories from NPR, Slate, and even Oprah’s blog. It’s always a pleasure to see Evangelicalism display the love of Christ and his Bride to major media outlets. It’s things like this that keep me from being as optimistic as my friend Dr. Peter Enns, who has far more reason to give up on conservatives than even me. I guess that’s encouraging. The book’s not out until October 30th, but I’m definitely going to buy it, and I’ll have my own review here shortly after that. What an absolute morass of hypocrisy, gatekeeping and obscurantism. I suppose the most difficult and infuriating thing about being a Christian today is how many other Christians claim that you are not one, simply because you hold non-identical views to their own. Here Rachel Held Evans, one of the most prominent females of the progressive Christian movement, has written a book recounting her one-year experience of attempting to follow all of the Biblical rules for women, yet she is stonewalled by perhaps the biggest gatekeepers of all: CHRISTIAN BOOKSTORES. Lifeway, the largest seller, refuses to stock her book because certain words in the book “fail to meet their rigorous standards.” This stands against everything America was founded upon – the free marketplace of ideas and free access to that marketplace. This is clearly a thinly veiled effort by the gatekeepers to abjure all assaults on their high view of the Bible, and judging from Evans’ blog, I’m sure her latest work is a well and sincerely written treatise which exposes the absurdity of fundamentalist conceptions of the Bible. These bookstores should be shamed. Any attempt to regulate information is among the most unpardonable of crimes and should be properly stigmatized as such. They’re merely a step removed from the Churches who systematically burned and closed libraries across all those Christian centuries FOR 900 YEARS between the 4th and 13th centuries which stymied human progress irreparably. And something tells me, if they had the power to do the same thing today, they would. Different era, same obscurantist mentality. this is Evans following Proverb’s 31’s command to “praise her husband at the gates”. See? What a trouble-maker! Well said. A friend sent me an advance copy of this book as a gift, and it really is very well written, thoughtful and thought-provoking.